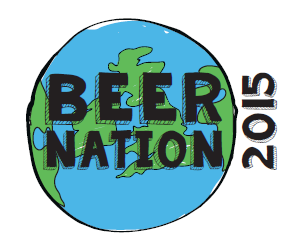 Beer Nation brings together the UK beer podcasting community for a collaboration broadcast and takes a look at the state of the beer nation in 2015. Hosted by our very own Mark and Sophie from The Beertalkers, we also welcome to the table Roland from Steve & Roland’s Beer Podcast, Daniel from the Original Gravity podcast, Sam from The Beertalkers and Steve from the Beer O’clock Show. In this special show we look back at the highs and lows of the beer nation over the past 12 months and discuss our favourite beers, breweries and events. For good measure, we also manage to squeeze in a cheeky little review of Magic Rock’s ‘Salty Kiss’. Can’t help thinking that brewing beer at home should have had a mention on Beer Nation. I think it is becoming a significant part of quality beer production. Where else could you drink a fresh Weisenbock in the UK? The cost of a session type bitter is about 30p for a pint made from freshly milled grain, hops and perfectly delivered out a cask. It would be interesting for you to interview someone like Rob who runs “themaltmiller,co,uk”. As an indication “thefomebrewforum.co.uk” has 15,500 members! I also think “the drinking den” has also emerged to augment the local pub. A simple email to friends sees a lively night of beer, pool and music in my barn anyway. Cheers! Hey Michael, thanks for taking the time to listen to and comment on the Beer Nation podcast. We feature a homebrew special every season on the Beer O’clock Show which we feel raises the profile of homebrewing, and in fact, is always the most popular/downloaded shows of each season. As the Beer Nation podcast was a collaboration we had to agree on a format and agenda that all of those involved were willing to input into for discussion. Homebrewing never came up while we were discussing the content, but it’s something that if we do this again, I will be sure to raise for consideration. Thank you also for the idea of contacting Rob, I agree that this would make for an interesting interview. Cheers.